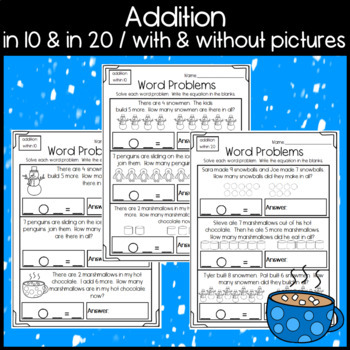 Winter themed math word problem worksheets! Sheets within 10 and within 20 to allow for differentiation. 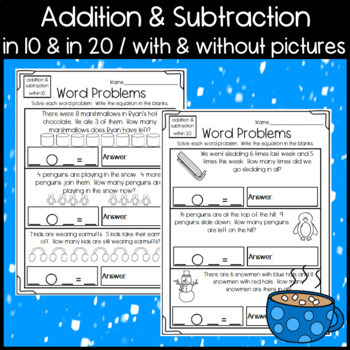 Also, there are sheets with pictures and without pictures to allow for more differentiation! 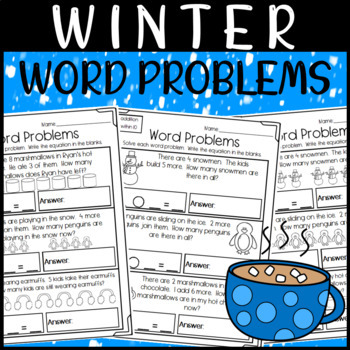 3 word problems per page. 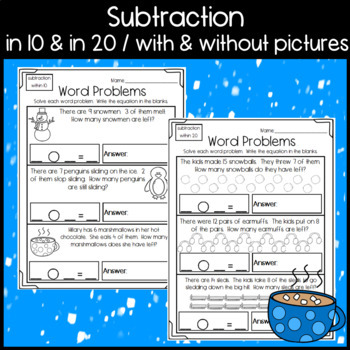 Students write the equation and the answer for each.